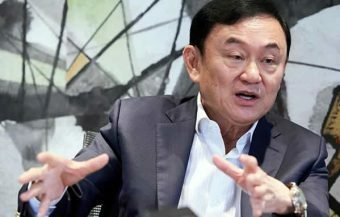 A one month blitz ordered form the top by Thailand’s Deputy Prime Minister Prawit Wongsuwan into foreigners staying illegally in Thailand and using the country as a base for illegal activities has upended many undesirables and their criminal enterprises. 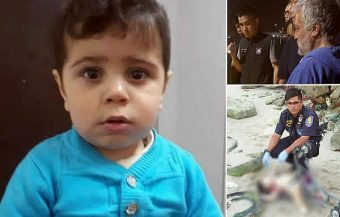 This offensive and the ongoing campaign raises the plight of western foreigners who were also numbered among those picked up, as with nearly all recent swoops. The reality is that for a small percentage of western foreigners in Thailand, the onset of financial difficulties means that they quickly move from the ‘good guy’ camp that Thai police and authorities want to protect in Thailand to the ‘bad guy’ camp of those who must be removed. Thailand and the Thai police are just merging for a one month blitz on foreigners living illegally in Thailand and engaged in illegal activities. The ongoing campaign was ramped up recently on the orders of Thailand Deputy Prime Minister and Defence Minister also tasked with security. 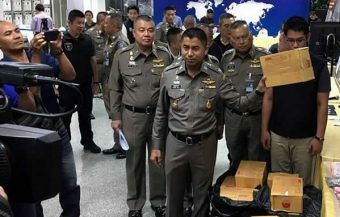 The campaign has seen many arrested in police swoops including the breakup of a number of criminal enterprises being operated in Thailand by foreigners. The campaign has focused the attention of authorities particularly on the never ending and huge romance scam activity involving African criminals and the issue of forged visas or visas obtained through corrupt schemes. 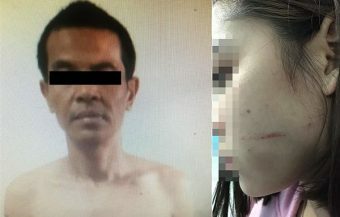 The ongoing campaign against immigration abuses has seen regularly seen western foreigners being caught up in the operations and facing not only deportation from Thailand but time in a Thai jail and entry into Thailand’s blacklist of foreigners prohibited from entering the country. The ongoing sweeps and the tightening of immigration enforcement will surely benefit those foreigner living legally in Thailand but recent research shows a proportion of foreigners living in Thailand on marginal means. The message unfortunately is clear, if a western foreigner cannot afford to live comfortably in Thailand and comply in full with immigration and workplace laws then they run the very real risk of moving from the ‘good guy’ column to the ‘bad guy’ column in the eyes of Thai immigration police and being targeted with the full force of the law and ending up on the, unpleasant, wrong side of that law. 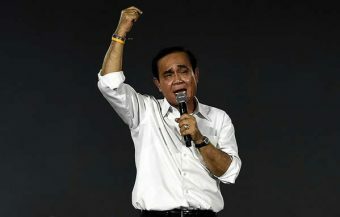 In early October the Thai Deputy Prime Minister and Defence minister, responsible for security in Thailand, issued an ultimatum to Thailand police and immigration authorities. 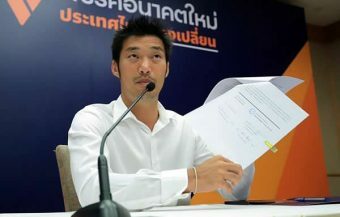 He wanted to see an intensive campaign to root out foreigners in Thailand living illegally in the kingdom and engaged in negative, nefarious, criminal practices. The results have been impressive. 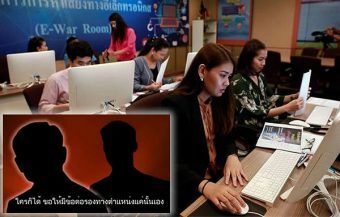 Criminal gangs operating online scams targeting foreign countries have been busted as well as hundreds of visa overstayers and criminals preying on unsuspecting Thai nationals. 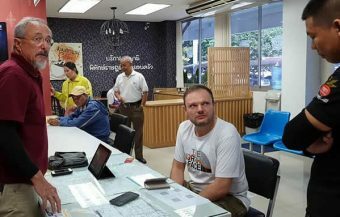 This latest drive has left those still pursuing such activities under the radar in no doubt, the days of Thailand being an easy touch for scammers and fraudsters is over and the Thai police and immigration authorities are pursuing a ruthless policy to close the door on them never to be opened again. 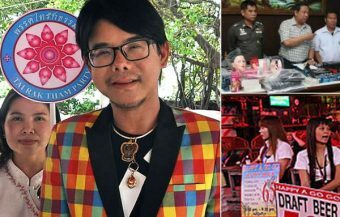 The stark order to rid Thailand of foreigners staying illegally in Thailand for illicit purposes in one month generated an unprecedented response. 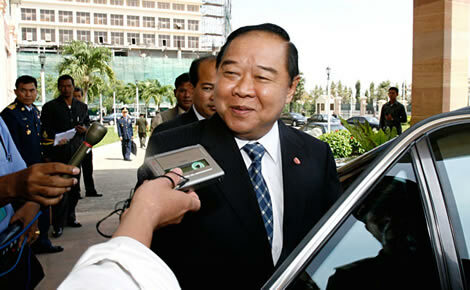 The order from Thailand’s Deputy Prime Minister Prawit Wongsuwan was given the Immigration Bureau on October 8th during a meeting between Thailand’s security agencies. The general’s demand came as a barrage of reports suggesting that an increasing number of transnational gangsters had entered Thailand in recent times posing as tourists. Many have used the country as a base for their criminal activities targeting victims in Thailand as well as abroad. 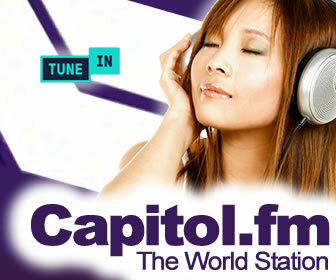 Common types of crime include call-center and online romance scams. 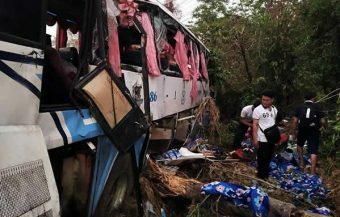 This trend poses a major threat to safety of up to 40 million tourists that Thailand welcomes every year, in addition to Thai people and foreigners living peacefully in the kingdom. Therefore, the immigration Bureau escalated the ongoing crackdown on illegal foreigners. This has involved identifying foreign citizens who stay in Thailand without valid visas and deporting them. It is estimated that there are currently thousands of such offenders in the country while the number of undocumented migrant workers, out of sight, could be an even larger group. This is also being tracked with efforts to register all foreigners living in Thailand in a live database which is already operating. The government is increasingly turning to technology to assist with the problem. 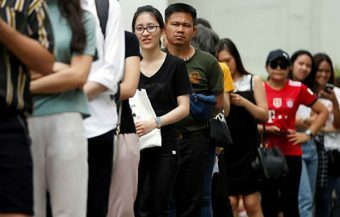 In response to the concerns of local Thai people and to protect the job prospects of Thai national, the Bureau of Immigration in Thailand is also looking closely at the professions of foreigners residing in Thailand to make sure that they are not employed in fields legally reserved for Thai people. In June this year the Thai Department of Labour relaxed some rules which strictly prohibit the employment of foreigners for jobs or occupations in Thailand which are strictly reserved for Thai people. These include secretarial, office clerical positions, sales clerks, legal practitioners and labourers including those engaged in farm work. The law is covered under the Alien Working Act of 1978 with a decree issued in 1979. This has been updated variously in 2010 and again in June this year. The relaxations are a response to specific labour requirements in Thailand. Any foreigner working in Thailand must have a work permit. 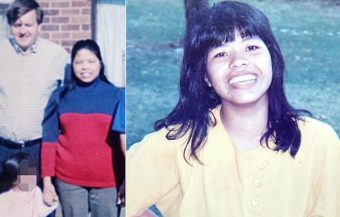 It is one of the key concerns of all immigration police in the latest crackdowns. There is a genuine anxiety in Thailand that such activity and undermining of the strict labour laws could represent a threat not only to the livelihood of Thai nationals but also to the stability and well being of the country. Foreigners engaged in commerce should make sure that all activities are approved and legal under Thai law. The ongoing crackdown is also part of a program to root out corruption in Thailand and strengthen respect for Thailand’s laws across the board. It is not clear how many western expats are living in Thailand as there are no accurate figures. The 2010 census in Thailand showed that 2.6 million foreigners were resident in the kingdom. At the time, this represented up to 4% of Thailand’s population. However a large proportion of these foreigners are migrants seeking employment in Thailand from the neighbouring countries of Laos, Cambodia and Myanmar. In addition to this, there has been a gradual increase in foreigners migrating from countries all over the world including Africa and indeed more westerners from Europe, America, Australia and New Zealand continue to migrate to Thailand. It is always important to differentiate the word foreigners. The Thai Immigration police service itself came up with a good slogan at the beginning of this ongoing crack down or drive which was ‘Good guys in, bad guys out’ The term was coined by Pol. Lt. Gen. Nathathorn Prousoontorn, the then Immigration Bureau Commissioner. It coincided with the introduction of a comprehensive blacklist and re entry system for foreigners who overstay their visas in Thailand. Under the scheme, a foreigner who overstays in Thailand by more than 90 days is slapped with an automatic 1 year ban from reentering the kingdom. The blacklist provides for a 10 year ban for those overstaying their visa by five years or more. For those arrested and prosecuted under Thailand’s criminal code, it specifies a 10 year ban for any overstay over 1 year. 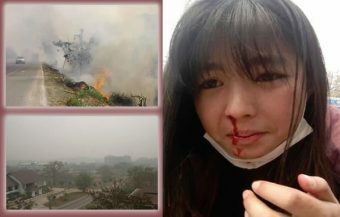 The effectiveness of the ongoing crackdown has revealed more corruption and illegal practices than was know hitherto. 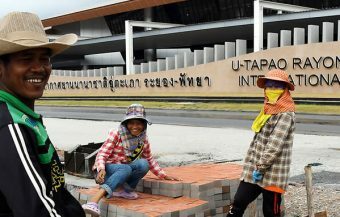 The Thai police and immigration authorities are now urgently upgrading screening of all arrivals into Thailand through improved technology to stop undesirable foreigners or even those previously rounded up from entering through Thailand’s land borders. It is difficult to estimate the number of western foreigners in Thailand. It is clear that the numbers are greater than official figures or even those held collectively by foreign embassies. Part of the reason for this is that more and more foreigner are living in Thailand partially for extended periods of the year. The world has changed immeasurable in the last two decades along and this has been caused by two key factors: the lower cost of air travel and the deeper penetration and convenience of the world wide internet. 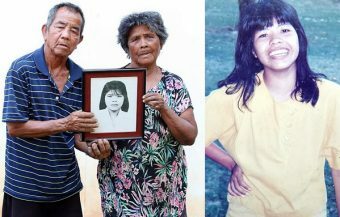 Thailand finds itself right now in the middle of an influx of African migrants over the last decade and this may, in fact, be linked to the worldwide movement of people from to other countries in Europe, Asia and other parts of Asia, most notably China. While the country remains a popular destination for western foreigners including retirees, those married to Thai wives, younger westerners, notably more men than women, seeking an alternative lifestyle and westerners who increasingly use Thailand as a second home. Although there are not definite figures, it is estimated to range from 500,000 up to 1 million including westerners who are semi resident. The recent crackdown on visa abuse has driven many western foreigners living in Thailand on a budget to move to other Asian countries or return home. Thailand’s immigration authorities have made so called ‘visa runs’ which were popular in the the previous decade almost a thing of the past. Today any foreigner coming to live in Thailand or staying for an extended period must have a valid visa and the resources to sustain and decent lifestyle and to comply with the country’s increasingly strict visa regime. It is sad to say but some of those being rounded up during the regular raids in more and more areas are western foreigners who has been living illegally in Thailand and were unable to renew their visas. For some foreigners life in Thailand had become unstable or incoherent. A recent survey by the Thai news forum Thai Visa showed that roughly 8% of western foreigners surveyed survived in Thailand on less than 25,000 baht per month which is now a lower level Thai salary. While 50% of these survey earned ฿65,000 baht per month ($2030) or more approximately 23% earned between ฿25,000 ($780) and ฿45,000 ($1,440) per month. The survey should about 10% of western expats in Thailand live very comfortably on over ฿145,000 ($4,530) per month. The relatively affluence of some of their fellow expats is cold comfort for foreigners living in Thailand whose lives go awry, when former ‘good guys’ become ‘bad guys’ by refusing to accept the reality that life in Thailand is no longer viable for them. From a 78 years old German man arrested over a nine years visa overstay to a French man last year who committed suicide with his Thai wife when his visa expired and the couple faced financial difficulties. The survey into western expats however showed that even those on meager incomes had some property or investments in Thailand. This, of course, helps to make making ends meet in Thailand easier. The problem for some foreigners occurs when the financial strain of a low income affects their relationship with Thai spouse or love partner, often a Thai wife. There are many stories of foreigners losing property and at the same time ending up with visa difficulties One younger UK man Ezra Feehan was featured on the UK tabloid The Sun detailing his arrest and imprisonment in Thailand for working in bar days after his visa expired after a separation from his with his Thai girlfriend with whom he operated another bar as a joint enterprise. Feehan also did not have an appropriate work permit. The UK man spent time first in a Thai police jail cell later being transferred to Thai prison before eventually being deported back to the UK. While the story may have been give the tabloid treatment on The Sun which quite often sensationalizes stories from Thailand for impact, it is a clear warning, to any western foreigner, that having a valid visa to live in the country is not an option but a sine qua non. In addition, another equally grave requirement is to have all the appropriate clearances, notably a valid work permit for any occupation is absolutely essential for any foreigner working in Thailand. The consequences for flouting these requirements or for making casual assumptions can be very severe and painful. The ultimatum by the Deputy PM who is also Thailand’s security minister can be be seen in a recent intensification of arrests against very undesirable foreigners perpetrating crime. In particular, the campaign has revealed the extent of the huge romance scam industry in Thailand which has surprised the authorities. 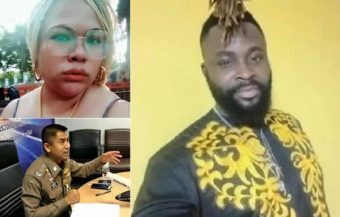 One Nigerian arrested in a swoop this week was found with 57 financial transfer slips and a smartphone full of fake profiles depicting rich white western males. He was one of 16 arrested by Thai police including Thai nationals assisting the scammers. The police also arrested other Africans from the Congo and Ivory Coast for using forged documents to obtain valid immigration visas in Nonthaburi. 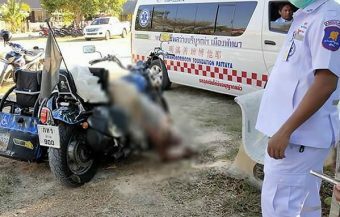 Thai police discovered that they had been supplied by a Thai woman who they are now focusing their attentions on. The police have invited her for an interview to explain her position. During the course of the crack down Thailand’s Immigration have discovered the widespread use of forgery and other tactics to provide immigration cover for foreigners in Thailand who should not be here and who have nefarious purposes. 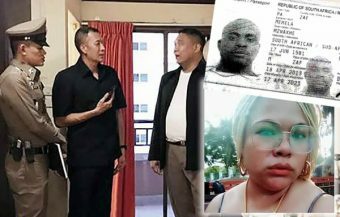 In recent times, Thai police have busted many high-profile international criminals, most of who are African, and returned 27 million baht to 133 victims. The crackdown has led to intelligence which has prompted an investigation into the operations of language schools and the corrupt practices of some associated with a number of these establishments. The round up also includes the arrest of fake lawyers preying on unsuspecting foreigners in a tight spot looking for a quick fix. One of our recent news reports details the case of a foreigner arrested by Thai police who spent 57 days in jail after his passport was stamped with a forged visa. This week alone saw Thai police in near Pattaya raid two homes on a housing estate in which they discovered 12 Chinese nationals including 4 women and 8 men operating a sophisticated online money lending service generating 12 million baht a month. The loan service had a sales team in one house an an enforcement centre in another farming out contracts on late payers and those in default to gangster hoodlums in China.